Sony recently added the ability to dim the DualShock 4’s lightbar in Firmware v1.70, but you cannot turn it off completely. The reason for this was unknown, until now that is. Speaking to TechRadar, SCEE Senior Designer Jed Ashforth revealed that the controller’s lightbar is required for Project Morpheus. 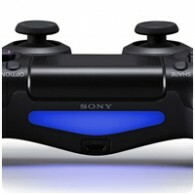 The lightbar is used to track the position of the controller, which together with the head tracking technology in Project Morpheus, will make an even better VR experience for gamers.